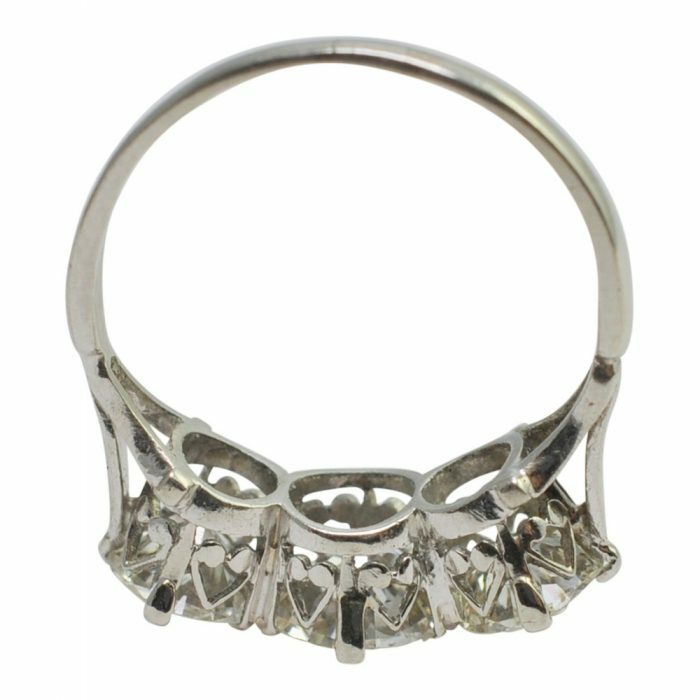 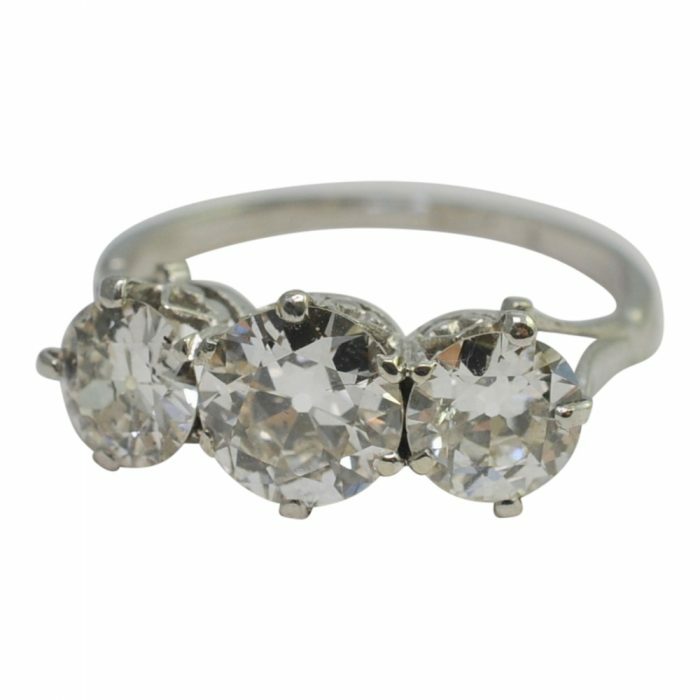 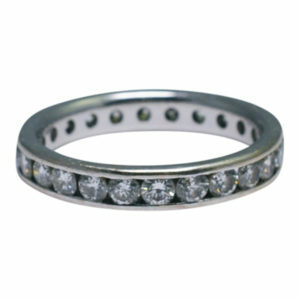 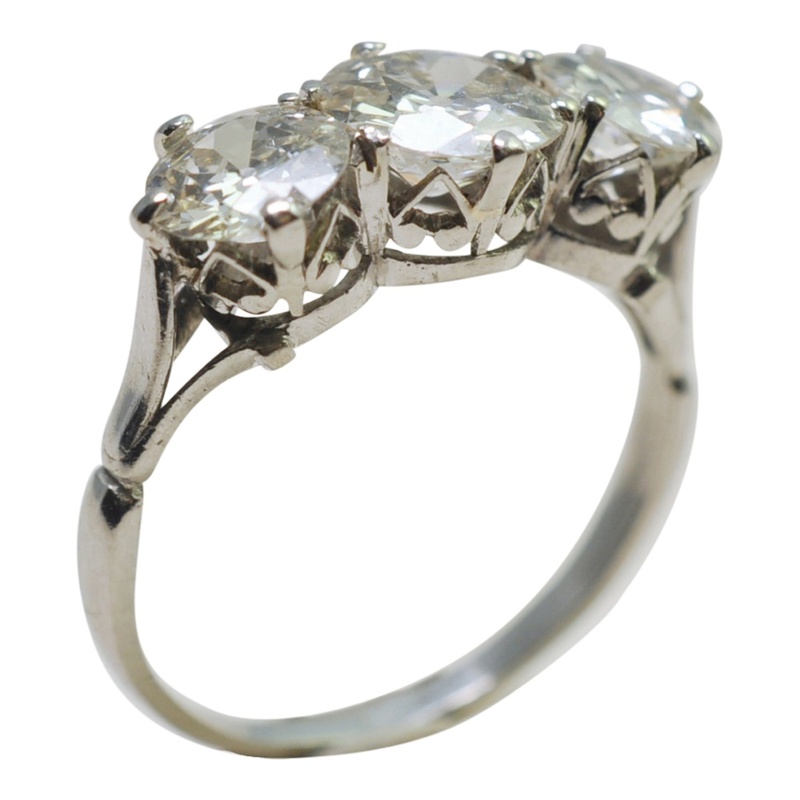 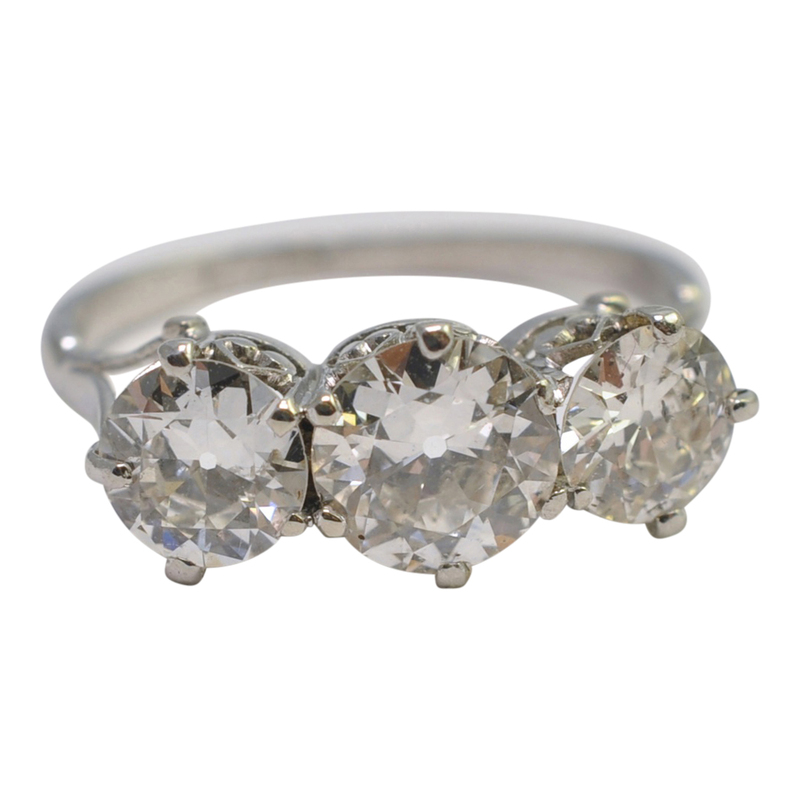 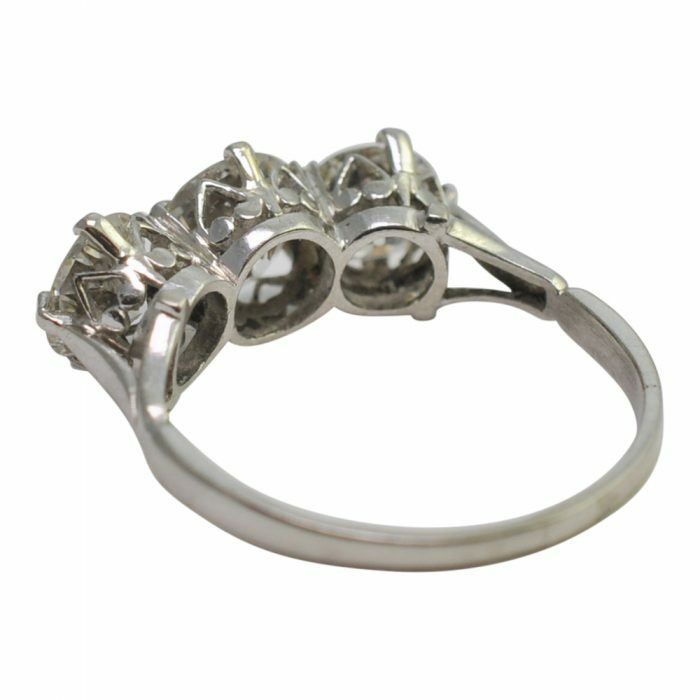 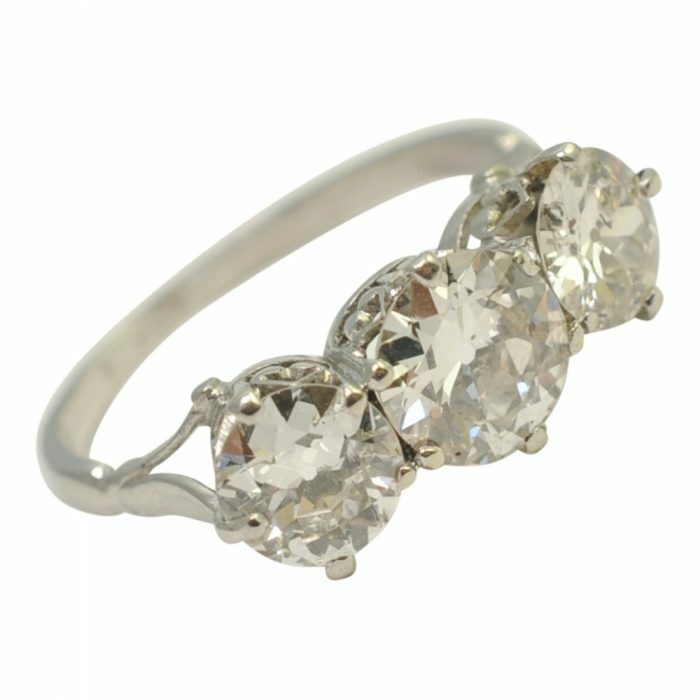 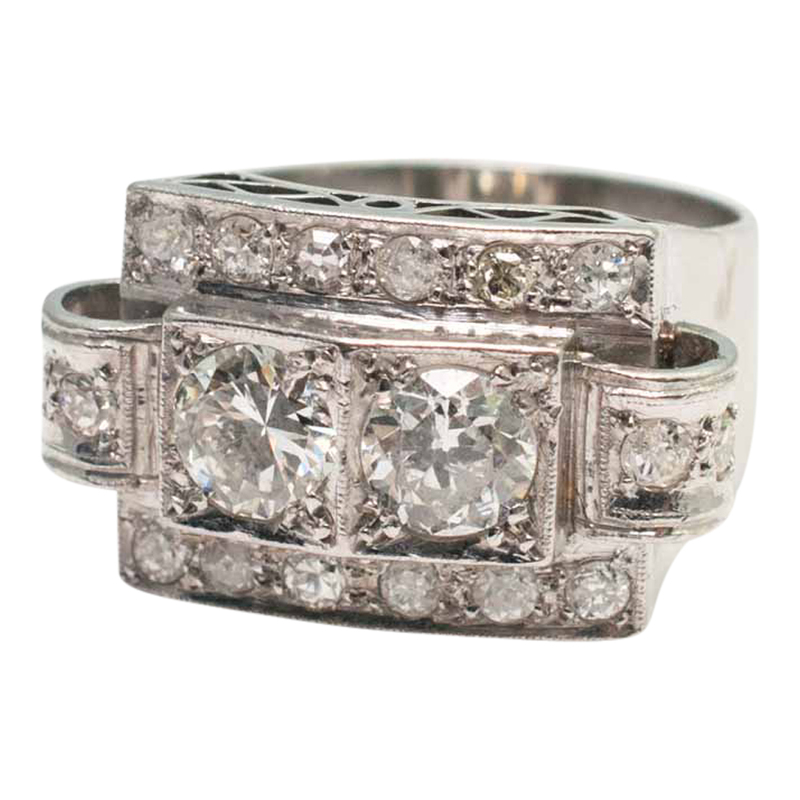 Diamond three stone ring; the classic English trilogy ring that has remained eternally popular since the Victorian era. 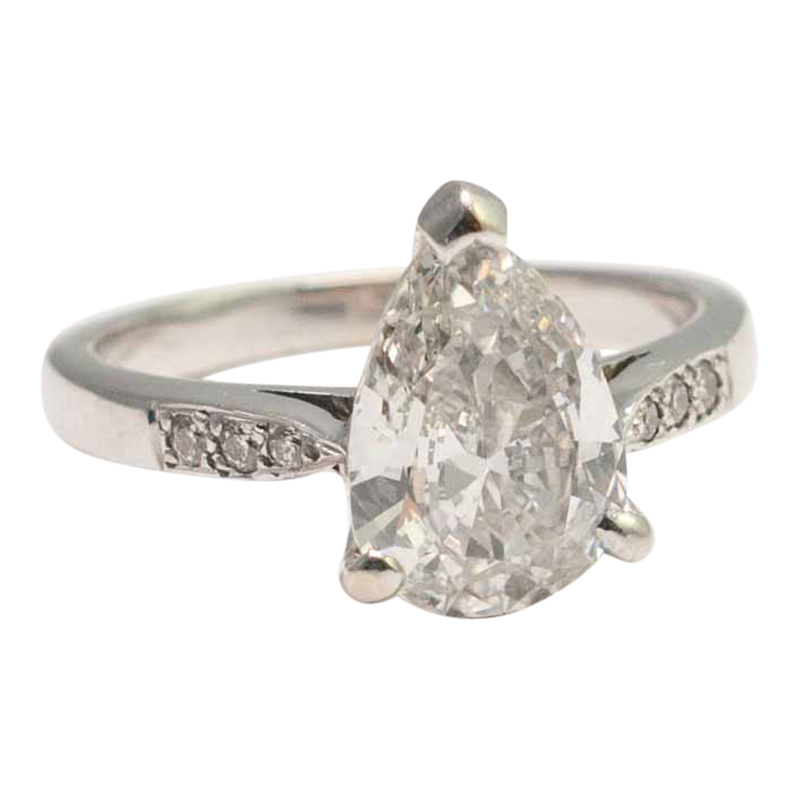 Our ring is set with three Old European Cut diamonds weighing a total of 2.25ct mounted in a heart shaped setting. 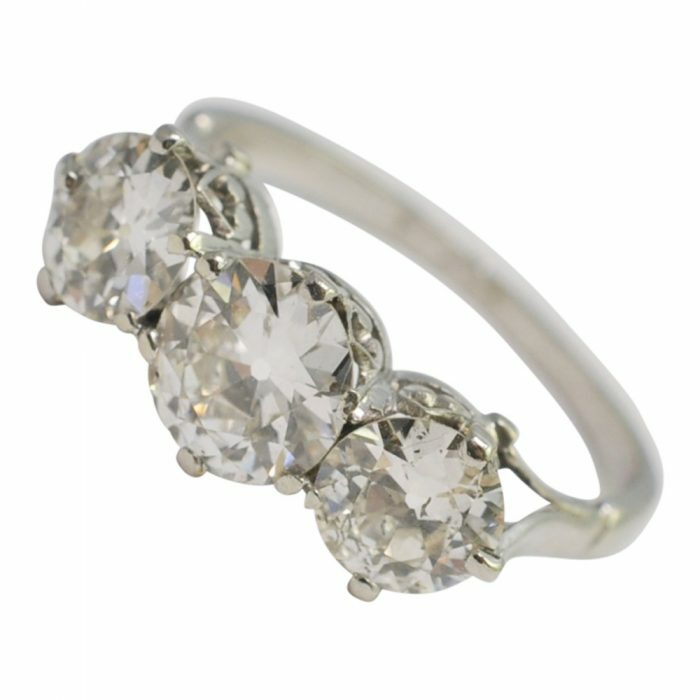 Tested as platinum; weight 3gms. 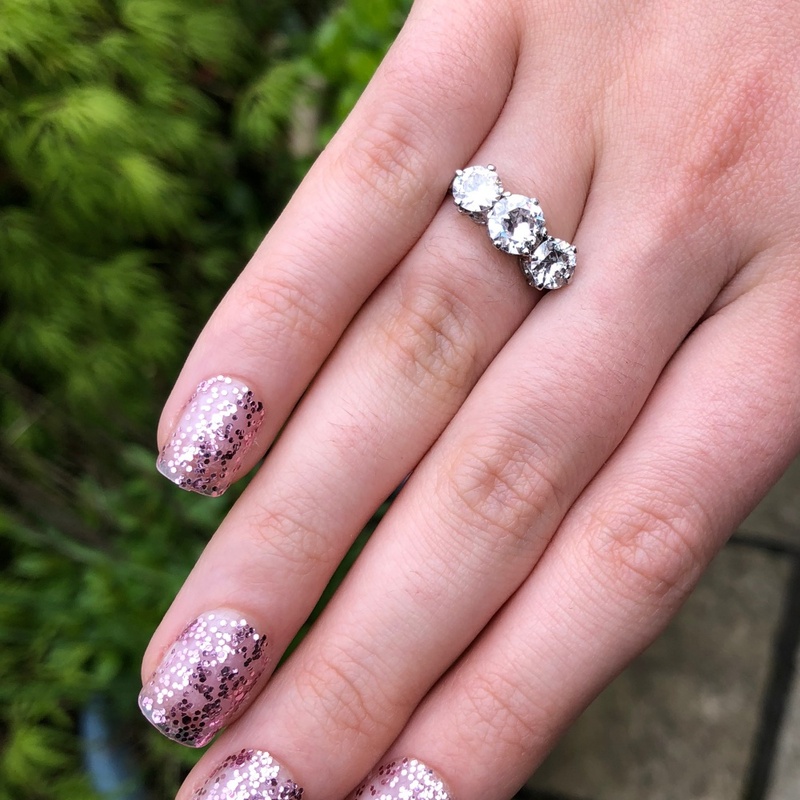 The ring is in excellent vintage condition and is finger size J1/2 (UK), 5 (US), 50 (French) which we can resize for you if required. 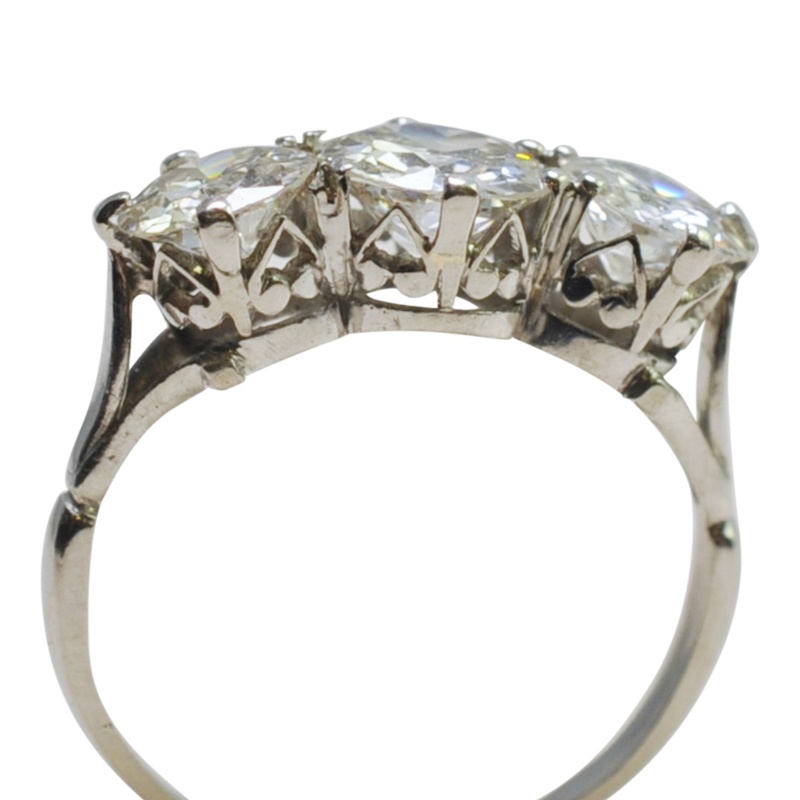 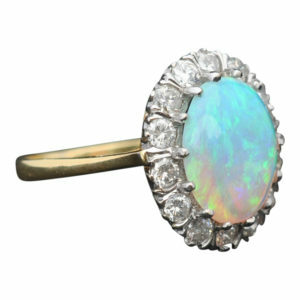 This would make a beautiful vintage engagement ring.